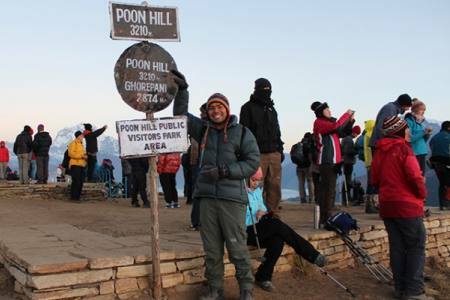 Annapurna Ghorepani Poonhill Trek with Pokhara, Lumbini, Chitwan Tour is a colorful short foray into the Annapurna region and terai region of Nepal. The trail winds through patchwork valleys, dense mossy forests and past icy waterfalls where you can stop to cool your face. Around every corner is a tantalizing glimpse of the high mountains and whole horizons of Terai, through the beautiful views of mountains, deep gorges of freshly flowing of river to the dense forest of Terai which will be revealed to you as you reach the high points of your trek. Day 08: Full day Visit Lumbini. Day 09: After Breakfast Drive to Chitwan. Day 11: After Breakfast transfer to Bharatpur Airport and flight to Kathmandu. ü ) Two Nights at Lumbini, B, D. included. 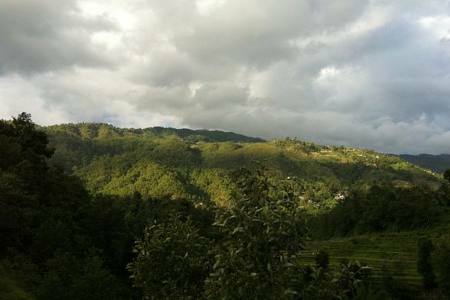 ü) Experienced English speaking government license holder mountain trekking guide. ü) Experienced & strong mountain trekking porter. ü ) All kind of local and government TAX/VAT etc. × Meals (Lunch & Dinner) whilst in Kathmandu, Pokhara, Lumbini. × All kind of alcoholic & soft drinks, Like Tea Coffee and items of Bakery. × Personal shopping, laundry, trekking equipments etc. × Any others expanses which are not mentioned in *Price Includes* section etc. 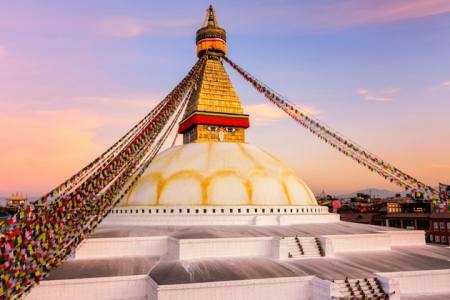 Day 06 Pokhara Sight SeeingAfter breakfast, we depart for Pokhara and commence a full day sightseeing of Pokhara, the most popular tourism destination in Nepal , spend enjoyably the morning trip along the bank of Phewa Lake, you can admire the stunning scenarios of the Mt. Fishtail's Peak reflected in the silver surface of Phewa lake. 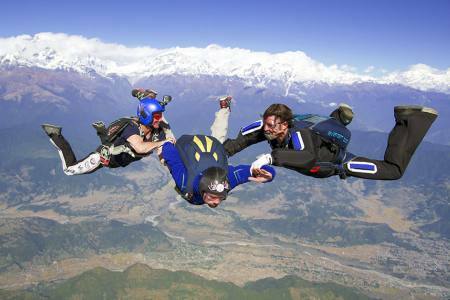 You can also have glance of the wonderful Annapurna panorama forming a superb backdrop to Pokhara from the lake. Aside from Phewa Lake, we visiti the Seti River gorge - one of the best places to see. You will have an opportunity to take a glimpse to the limestone cave of Mahendra Cave, used to be well-known for its stalactites. Stay overnight at hotel. Day 07Drive from Pokhara to LumbiniDrive to Lumbini. 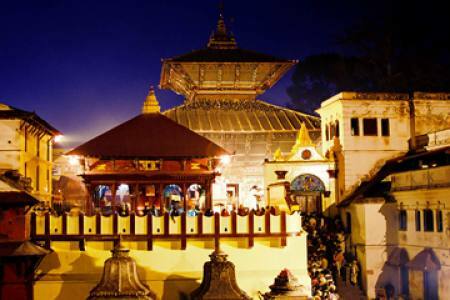 Lumbini is 270 km in distance from Pokhara & takes the time of 7 – 8 hrs of nonstop drive. Lumbini is located in the south-central Terai of Nepal, situated in the foothills of the Himalayas. For millions of Buddhists and piligrimes all over the world, it evokes a kind of holy sentiment akin to the significance of Jerusalem to Christians and Mecca to Muslims. Lumbini is the place where Lord Buddha - the apostle of peace, and the Light of Asia - was born in 623 B.C. In afternoon you will have a visit to the Lumbini Garden which consists of the birth place of Lord Buddha, various Bodh Vihars built by different countries such as Japan, Myanmar, Indonesia, and USA to establish the Buddhism. You will tour by a rickshaw for 3 hrs. Overnight stay at hotel. Day 08 Full day Visit Lumbini. Lumbini which is allocated in the World Heritage Site by UNESCO, is developed under master plan in the area of 12 square kilometers. We start our tour from the 'New Tourist village and visit the World peace pagoda and museum. This is also the pilgrimage concept of master plan to introduce Buddhism and purify mind through monastic zone. Monasteries of Mahayani and Teravadi Buddhism are spread across the cannon. Finally visit the Mayadevi temple protecting the 'Marker Stone', Statue of nativity scene and ruins of old temple walls dating from 3rd BC to 12 AD. Ashoka pillar still displays the inscriptions explaining his visit to the birth place of Buddha. Day 09 After Breakfast Drive to Chitwan.Drive to Chitwan from Lumbini in early morning. Chitwan is 180 Km in distance from Lumbini & takes a 05 hours drive. Chitwan is one of Asia's premier wildlife reserves. Its 360 square miles of tall grasslands and forests are home to a wide variety of mammals and birds, including several endangered species, flora and fauna. Day 10Full day Jungle SafariEnjoy Jungle observation at Chitwan National park the whole day. Elephant Safari in the jungles, Canoeing, Dugout canoe, Nature Walk and Bird Watching are the major activities to enjoy your time in Chitwan national Park. Also experience walking through the forests with naturalists and watch the lifestyle, culture, Native folk dances of the Terai region people. Overnight at hotel.